You prepared a special meal for dinner party to serve your guests. But unfortunately, you forgot to add salt in it. Though you cooked the meal with lots of efforts but the absence of salt will make the food useless. You started a business, invested the money to bring out the product in the market and hired the professional team to handle your customers. But what if your audience doesn’t turn up even after all these efforts? Will you just flush out the all your efforts and money? I guess no. No one would do that. All you need to do is formulate the strategies which will help you to generate the leads. A set of strategies acts as salt which is important for giving perfect taste to the recipe. And cloud telephony can help you to do that. Cloud Telephony is a technique of replacing business PBX with cloud-hosted VoIP. As stated by Microsoft, a cloud is the next big thing which will rule the world in coming years and one of the 4 technology which has the potential to shape the business. Cloud Telephony comprises the packet of SMS and Voice service which serves enterprise level benefit. I know there’s a bunch of marketing tactics are out in the market. But all my experience shouts that cloud-based telephony is one of the inexpensive marketing tools which can enhance your brand image, boost your ROI, generate more leads and provides better customer assistance in no time. One solution to all your problems. So now make your phone number a smart number with cloud-based telephony. Let your customers call you at no cost with toll-free. Not only this, it also gives you the flexibility to handle huge call traffic with IVR by routing the calls to available executives. The hosted IVR provides a personal touch to your customer as it acts as the Virtual receptionist of your business. And allows you to stay 24×7 connected with your customers. I can write a page about cloud telephony solutions. 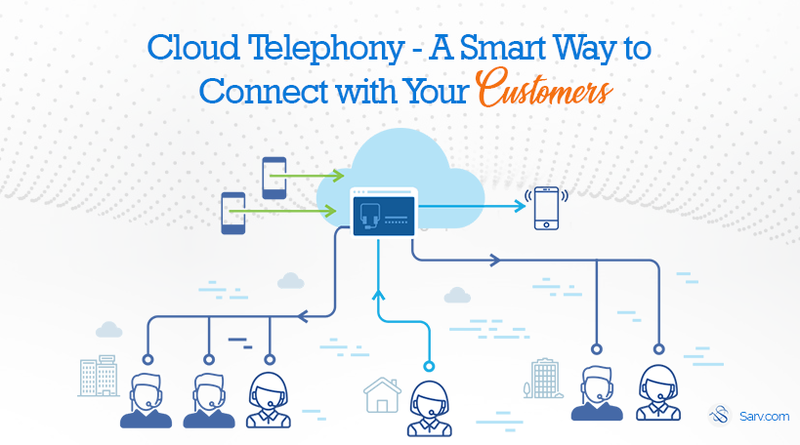 The more you dig the more you’ll explore about the benefits of cloud telephony. So Stop wondering and leverage this amazing technology in all possible ways.